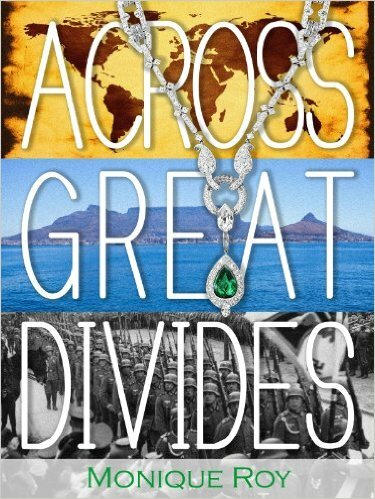 What makes this book unique is it connects two of the twentieth century’s great travesties: the Nazi occupation of Europe and Apartheid in South Africa. Through the eyes of one family’s life story and trials, this is a colorful historical novel with abundant detail and passion to drive one's emotions against all totalitarian systems. It is a testament of a family forced into unwanted situations, but the power of family proves strong and so does the resiliency of human spirit. Persecuted in one part of the world during the war, the family becomes, in essence, part of the elite in another country, South Africa. Their inner and outer struggles differentiate this novel, as well as the fact that the plot is based on my own family experiences. Monique Roy was born in Cape Town, South Africa, and her grandparents were European Jews who fled their home as Hitler rose to power. It's their story that inspired her to write Across Great Divides.